Mom and Dad decide to divorce and their kids try to bring them back together — it’s a familiar story here, on screens big and small. And it’s not hard to understand why: The kids nearly always succeed, making for a happy ending. Veteran hitmaker Yoji Yamada uses it for his first comedy in two decades, the upcoming “What a Wonderful Family!” (“Kazoku wa Tsuraiyo”) and his choice is sound — in terms of the box office, anyway. 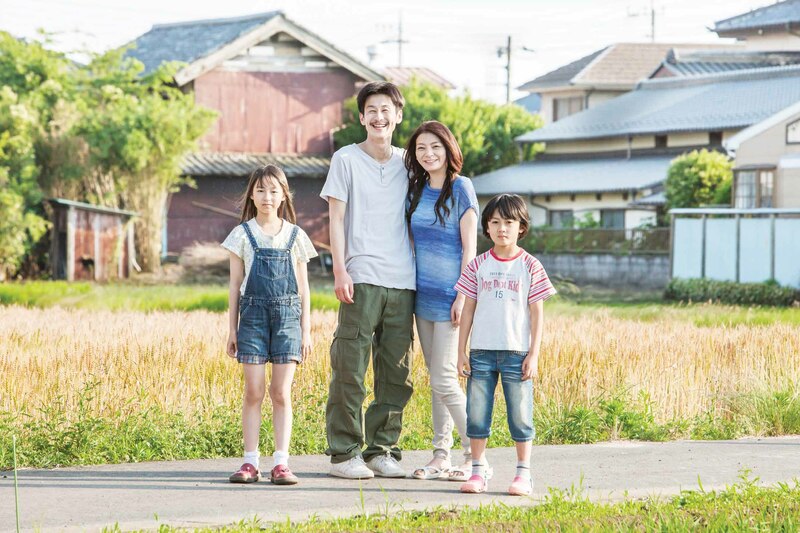 Koki Fukuyama’s “Children of Iron” (“Tetsu no Ko”), the opening film at the Skip City International D-Cinema Festival in 2015, takes the opposite tack: Mom and Dad have just married and the two kids they had with previous partners — Dad’s daughter and Mom’s son — decide to break them up. Cue laughter? Fukuyama co-wrote the original script with Kaori Moriyama, and his offbeat story is more naturalistic drama than family comedy: The two children — Rikutaro (Taishi Sato) and Mariko (the single-named Mau) — take their break-up plan seriously indeed. The main reason for the scheme is mutual embarrassment. The new siblings end up in the same classroom and Rikutaro’s pals mercilessly tease him by saying Mariko is his “fake sister” and “new wife.” When he runs, Mariko calls him a coward. Enough is soon enough, for both children. Mariko’s rules of their “divorce alliance” — to be enforced on pain of death — are cute and funny enough, as is the kids’ initial attempt at sowing marital discord by over-salting the curry rice their mother, Yayoi (Tomoko Tabata), makes for their father, Kon (Jyonmyon Pe), before she rushes off to work at a hostess bar. Kon obliviously wolfs it down, and the kids have to consume their own creation with scrunched faces. But the tone quickly changes from light to dark, if not all the way to turgid black — the default setting for local on-screen depictions of dysfunctional families. Fukuyama, who debuted with the 2013 omnibus film “Saitama Family” (“Saitama Kazoku”), has a sensitive touch. But like a surgeon, he cuts sharply and cleanly all the way to the bone. He isn’t unnecessarily cruel to his young protagonists, but he doesn’t spare them either. The prognosis for their new family is poor almost from day one. The culprit is Kon, a superficially charming cad who lands a job at a local real-estate office and is soon staying out late every night, presumably to romance an attractive co-worker. (The film is vague on this point.) Meanwhile, Yayoi continues to work at her hostess job, while worrying about the kids and assuming, wrongly, that Kon is taking care of them. Rikutaro, who hates his new dad, even as he begins to like his new sister, finds refuge at a nearby foundry where his birth father once worked. His friend there, the bluff, tubby Iizuka (comedian Sugi-chan), tells him he is a tetsu no ko (child of iron) and Rikutaro nods gravely in acknowledgment. But his strength is no match for Kon’s negligence and violence. Tabata, who was a child actress herself — she starred in Shinji Somai 1993 masterpiece “Moving” (“Ohikkoshi”) — plays Yayoi as kind-hearted but fatally obtuse. This makes her convincing as the willing partner of Pe’s weak-reed Kon, who is almost too pitiful to hate. But hate him we do. The film, however, rightly centers on the two children. Sato’s Rikutaro is solemnly watchful and Mau’s Mariko sadly wistful, though when they are off on their own they drop their guards and play together as kids should. But as they grow closer, their family starts to fall apart, and their “alliance” begins to look like a textbook case of “be careful what you wish for.” This, however, is not as depressing as it sounds. “Children of Iron” is finally more than the sum of its bitter ironies. Whatever you say about their parents, the kids are all right.